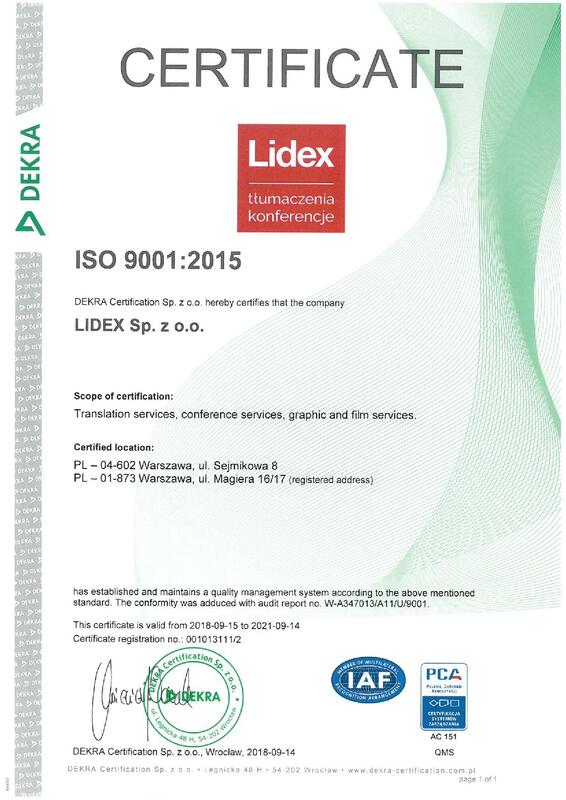 The LIDEX Translation Centre combines 30 years of experience and tradition with state-of-the-art innovations. In order to ensure the maximum comfort for our Customers, we have built a state-of-the-art ICT infrastructure which ensures efficient and reliable data transfer and processing. We apply the most recent computer-assisted translation and document graphic design tools available, which requires ongoing investment in new software and the testing thereof. In addition, we create our own, proprietary solutions intended to benefit our Customers, such as the LIDEX Customer Portal, our customer care platform, or the ITis database system. TRANSLATION QUALITY The excellent quality of our translations is the result of both the QA procedures (ISO 9001 and ISO 17100 certificates) as well as of the computer-assisted translation tools (consistent translation terminology and style as requested by the Customer). 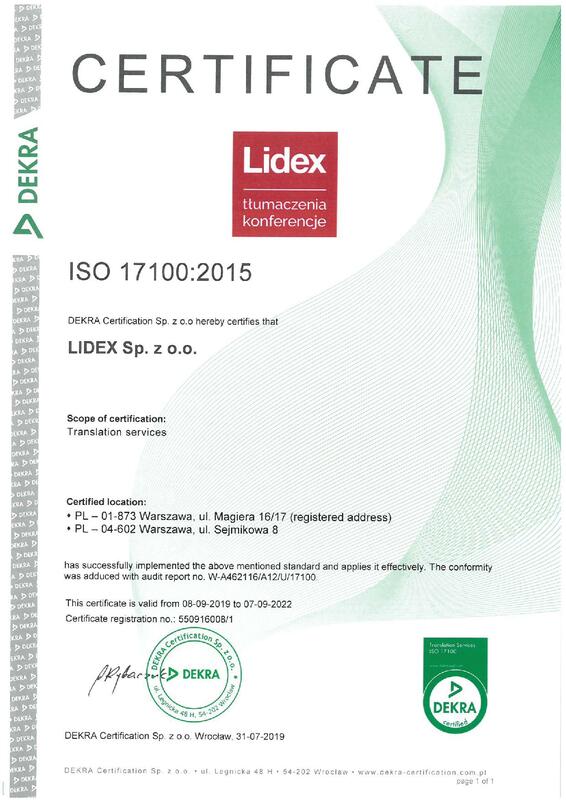 The LIDEX Translation Centre uses the latest-generation server-based software (MemoQ Server). The software is fully compatible with other popular solutions. RELIABILITY Customers can feel reassured that the translation will be delivered on time no matter how short the deadline. This is because our Company uses work optimisation tools (CAT software, the ITis internal database system) to monitor the translation process and manage the project. LARGE PROJECT MANAGEMENT LIDEX guarantees to its Customers that it possesses the logistical tools necessary to manage complex projects as well as that such tools will be used to the fullest possible extent by experienced staff. 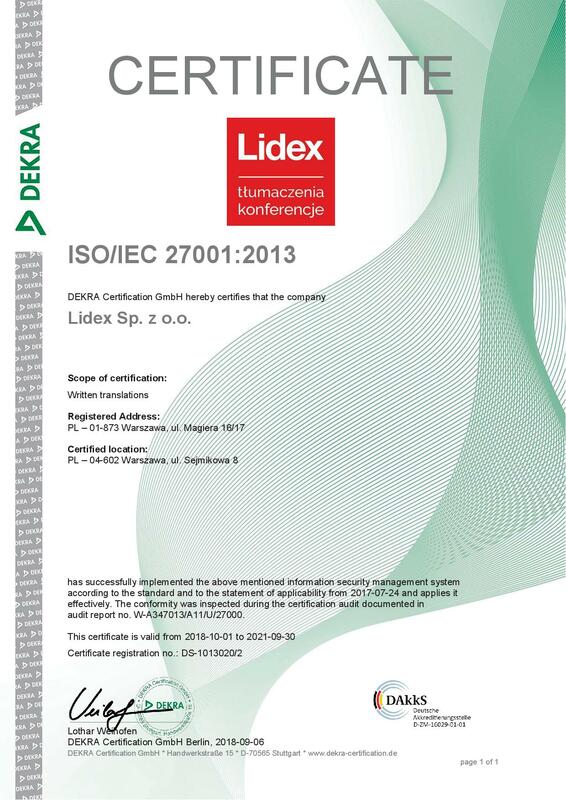 LIDEX project managers have practical knowledge in the field of management of large, complex projects that involve teams of translators, graphic designers, consultants and editors.